The National Cross Country Championship was held on Saturday, February 23 at the Eldoret Sports Club in Uasin Gishu County. 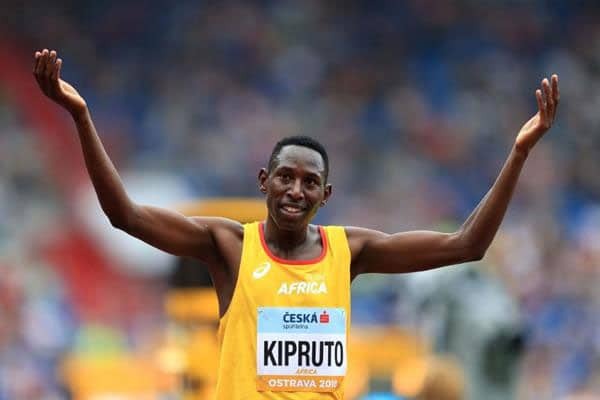 The scenes witnessed on Saturday were reminiscent of the 2016 Rio Olympics trials held at the Kipchoge Keino Stadium where also fans thronged the stadium to its capacity. The Championships was meant to select the Kenyan team for the World Cross Championship slated for March 30 in Aarhus, Denmark. That was the first ever national championships to be held outside Nairobi and Eldoret town which is backyard to many athletes in the country. As predicted many fans thronged the Eldoret Sports Club facility to the brim. Nandi County’s Olympic and World 3,000m steeplechase champion Conselsus Kipruto, World 1,500m champion Elijah Manangoi will also be making his maiden appearance in Denmark after making the team of mixed relays. World 3,000m steeplechase record holder Beatrice Chepkoech also from Nandi will be joining the Kenyan team. This shows how seriously athletes take Cross Country competition. The power of sports is beyond the medals earned by athletes as it brings together people from different parts of the country not forgetting foreigners who show up. Aside from the multitude of the athletics fanatics the championships also brought six governors led by host Jackson Mandago, Elgeyo Marakwet boss Alex Tolgos, Paul Chepkwony (Kericho), Josephat Nanok (Turkana) Stanley Kiptis (Baringo), Stephen Sang (Nandi) and Patrick Khaemba of Trans Nzoia County.